Authorization. The Client is engaging Spanlogic Solution Sdn Bhd, a registered company located at 27B, Jalan Perai Jaya 3, Bandar Perai Jaya, 13600 Perai, Penang, Malaysia, as an independent contractor for the specific project of developing and/or improving a World Wide website to be installed on the client's web space on a web hosting service's computer. The client hereby authorizes Spanlogic to access this account, and authorizes the web hosting service to provide Spanlogic with appropriate permissions for the client's webpage directory and any other directories or programs which need to be accessed for this project. The client also authorizes Spanlogic to publicize their completed website to Web search engines, as well as other Web directories and indexes. Package Limits. The content of the website will be supplied by the Client in electronic format. The client agrees to pay Spanlogic for conversion of printed/scanned content into usable electronic format at the prevailing rate. 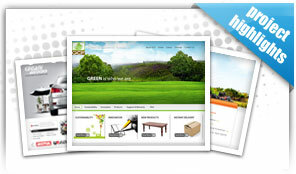 The limit of the website design package chosen is as per specified in the quotation provided to you. In case the client desires additional webpages and/or functionalities beyond the quoted limits, the client agrees to pay Spanlogic additional cost for each additional webpage and/or functionalities at the prevailing rate. Where custom graphic work is requested, it will be billed at the prevailing rate. Other additional services and prices of each may be requested from Spanlogic. Online stores Only. The content of the website will be supplied by the client in electronic format. The client agrees to pay Spanlogic for conversion of printed/scanned content into usable electronic format at the prevailing rate. It is understood that total prices calculated are likely to vary from the final amount due to different quantities of products, categories, photos, regular pages, etc. in the final store. An Estimate from Spanlogic shall govern the prices for the contract. Notwithstanding any prices listed in literature or on webpages, the client and Spanlogic agree that the services described above in this section shall be completed for the amount as per invoiced and upon this amount the first payment shall be determined. The final payment shall reflect and include all elements actually completed at the prices indicated. Consultation and Training. 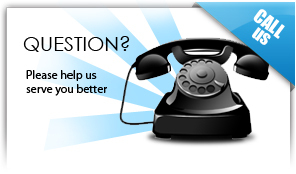 E-mail/phone consultation may be included in packages to help clients learn to use the website / store software. Telephone long distance charges are in addition to package rates quoted. Additional education and consultation is chargeable at prevailing rate. Product webpages, products, or photos added after the website is published will be calculated for actual time spent at the prevailing rate. Maintenance and Hourly Rate. Content maintenance may be included in packages. If the client or an agent other than Spanlogic attempts updating the client's pages, time to repair webpages will be assessed at the prevailing rate, and is not included as part of the updating time. The twelve (12) month maintenance period commences upon the date of the project delivery. Changes requested by the client beyond those limits will be billed at the prevailing rate. This rate shall also govern additional work authorized beyond the maximums specified above for such services as general Internet orientation education, marketing consulting, webpage design, editing, modifying product pages and databases in an online store, and art, photo, graphics services, and helping clients learn how to use their own webpage editor. Programming charges (if any), consultation charges (if any), design charges (if any), and marketing effort charges (if any) are not included in this rate. Changes to Submitted Text / Approved Design. Please send us your final text. Time required to make substantive changes to client-submitted text after the webpages have been constructed will be additional, billed at the prevailling rate. 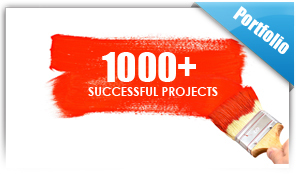 After a design has been chosen and approved, Spanlogic will develop the webpages in accordance to the approved design. Changes to the approved design, for example but not limited to, viewing resolution, color schemes, navigation menu location, browser compatibility, etc, will be additional, billed at the prevailing rate. Web Hosting. The client understands that any web hosting services require a separate contract with a web hosting service provider. The client agrees to select a web hosting service which allows Spanlogic full access to the website directory via File Transfer Protocol. The client further understands that if the web hosting service does not support the necessary operating system and/or applications and/or functionalities, some or all parts of the deliverables may not work, and providing a substitute may incur additional charges. Development Process. The client agrees to adhere to the development process presented in the document titled “The Spanlogic Website Development Process”. Completion Date. Spanlogic and the client must work together to complete the website in a timely manner. We agree to work expeditiously to complete the website no later than the number of working days quoted in the official quotation which the Client accepts. If the client does not supply Spanlogic complete text and graphics content all webpages contracted for within two (2) months of the date this contract was signed, this contract shall be null and void and Spanlogic shall not be liable to refund any monies paid by the Client. Payment of Fees. Fees to Spanlogic are due and payable according to the quoted schedule. If the total amount of this contract is less than RM2,000, the total amount shall be paid in full upon signing of this contract. In case the client has not secured Web space on a web hosting service by the time the webpages are completed, the webpages may be delivered to the client on diskette or attached to an e-mail message. Publishing of the website and updating occur only after the final payment is made. All payments will be made in Malaysian funds. In order for Spanlogic to remain in business, payments must be made promptly. ALL INVOICES ARE DUE IMMEDIATELY UPON PRESENTATION. Delinquent bills will be assessed a RM50 charge if payment is not received within 30 days of the due date. If an amount remains delinquent 30 days after its due date, an additional 1.5% interest will be added for each month of delinquency. Spanlogic reserves the right to remove webpages from viewing on the Internet until final payment is made. In case collection proves necessary, the client agrees to pay all fees incurred by that process. This Terms & Conditions becomes effective only when the Client pays the first invoice, and Spanlogic accepts the payment. The client agrees that for purposes of venue, the contract was entered into in Perai, Penang, Malaysia, and any dispute will be litigated or arbitrated in Penang, Malaysia. Assignment of Project. Spanlogic reserves the right to assign subcontractors to this project to insure the right fit for the job as well as on-time completion. Legal. Spanlogic does not warrant that the functions contained in these webpages or the Internet website will meet the client's requirements or that the operation of the webpages will be uninterrupted or error-free. The entire risk as to the quality and performance of the webpages and website is with client. In no event will Spanlogic be liable to the client or any third party for any damages, including any lost profits, lost savings or other incidental, consequential or special damages arising out of the operation of or inability to operate these webpages or website, even if Spanlogic has been advised of the possibility of such damages. If any provision of this Terms & Conditions shall be unlawful, void, or for any reason unenforceable, then that provision shall be deemed severable from this Terms & Conditions and shall not affect the validity and enforceability of any remaining provisions. Copyrights and Trademarks. The client represents to Spanlogic and unconditionally guarantees that any elements of text, graphics, photos, designs, trademarks, or other artwork furnished to Spanlogic, or requested Spanlogic to procure, for inclusion in webpages are owned by the client, or that the client has permission from the rightful owner to use each of these elements, and will hold harmless, protect, and defend Spanlogic and its subcontractors from any claim or suit arising from the use of such elements furnished by the client. Laws Affecting Electronic Commerce. From time to time governments enact laws and levy taxes and tariffs affecting Internet electronic commerce. The client agrees that the client is solely responsible for complying with such laws, taxes, and tariffs, and will hold harmless, protect, and defend Spanlogic and its subcontractors from any claim, suit, penalty, tax, or tariff arising from the client's exercise of Internet electronic commerce. Copyright to Webpages. Copyright to the finished assembled work of webpages produced by Spanlogic is owned by Spanlogic. Upon final payment of this contract, the client is assigned rights to use as a website the design, graphics, and text contained in the finished assembled website. Rights to photos, graphics, source code, work-up files, and computer programs are specifically not transferred to the client, and remain the property of their respective owners. Spanlogic and its subcontractors retain the right to display graphics and other Web design elements as examples of their work in their respective portfolios. Sole Agreement. The Terms & Conditions contained herein constitutes the sole agreement between Spanlogic and the client regarding this website. Any additional work not specified in this contract must be authorized by a written change order. All prices specified in this contract will be honored for three (3) months after both parties engage in the contract. Continued services after that time will require a new contract. Initial Payment and Refund Policy. The total amount of the contract is as per stated in the initial invoice. The contract begins with an initial payment as per stated in the initial invoice. If the client halts work and applies by registered letter for a refund within 30 days, to the Project Director of Spanlogic, 27B, Jalan Perai Jaya 3, Bandar Perai Jaya, 13600 Perai, Penang, Malaysia, phone (604) 397 6887, work completed shall be billed at the prevailing rate, and deducted from the payment except for the not refundable initial payment, the balance of which shall be returned to the client. If, at the time of the request for refund, work has been completed beyond the amount covered by the initial payment, the client shall be liable to pay for all work completed at the hourly rate stated above. No portion of this initial payment will be refunded unless written application is made within 30 days of signing this contract.